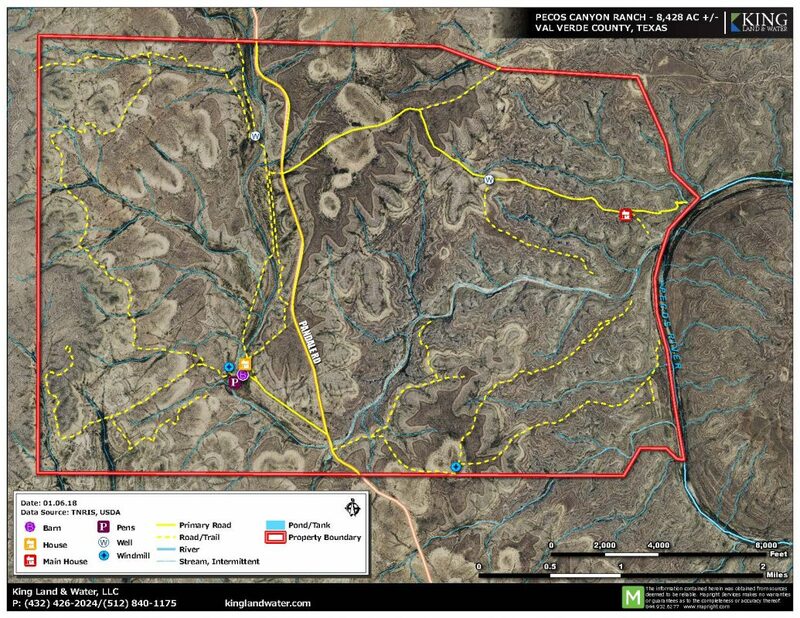 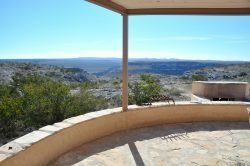 Pecos Canyon Ranch is a world unto itself, located 6 miles north of Langtry on county-maintained Pandale Road and fronting on some of the most scenic wild segments of the Lower Pecos River and its spring fed gin-clear waters. 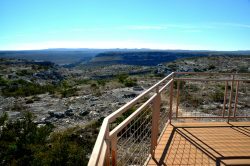 Harkell Canyon (“Jacal” by locals) meanders from its mouth at the Pecos to the north end of the ranch, carving the massive limestone landscape into some of the most spectacular canyonlands in Texas. 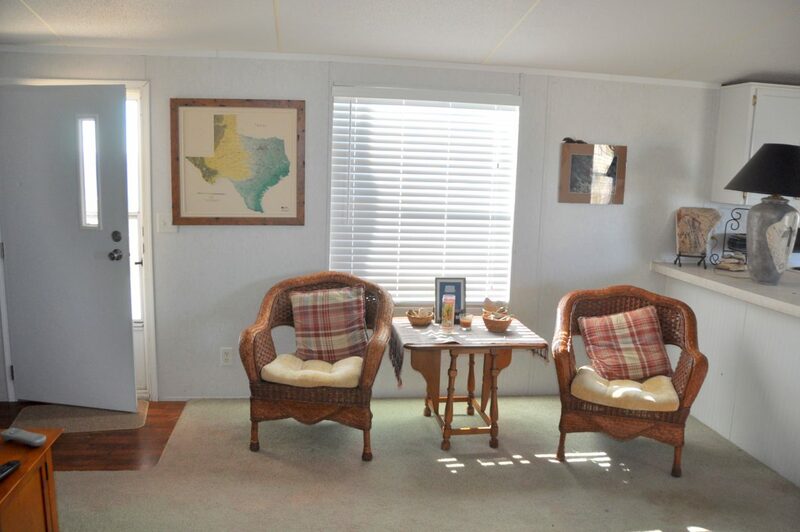 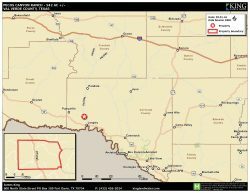 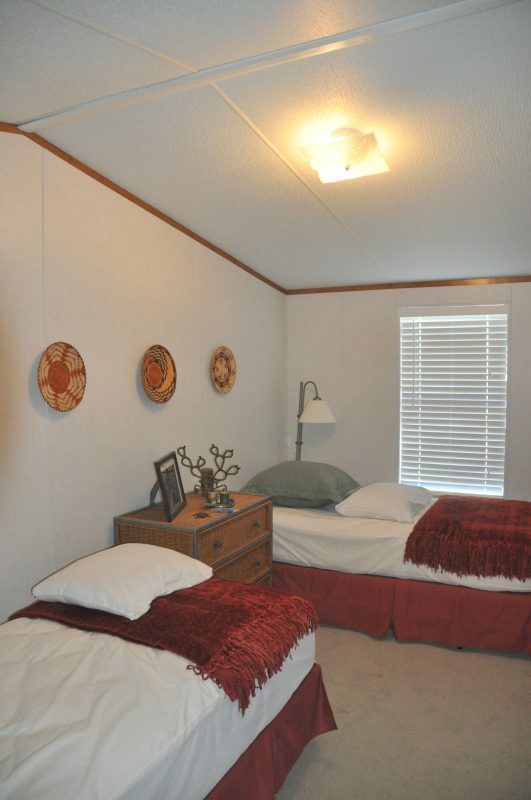 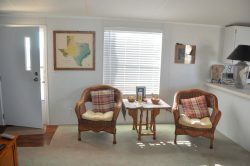 The ranch is 60 miles from Del Rio on US 90 and 60 miles from Ozona on I-10. 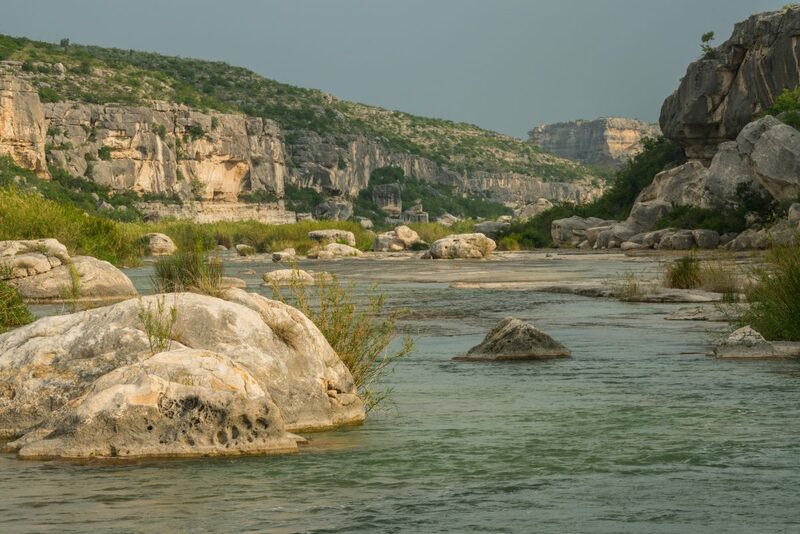 The ranch is also a two-night wilderness canoe trip downstream from the Pandale Crossing, through high canyon walls and world-class clear water fishing; one of the most amazing float trips in North America. Pecos Canyon Ranch was home to the Pecos Culture of hunter/gatherers dating back 4,000 years, who left a legacy of extensive rock art over 8,000 square miles. 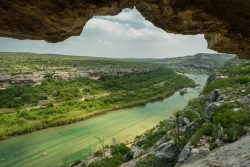 The area was also known for pioneers of the late 1800’s such as Judge Roy Bean at Langtry, and his “law west of the Pecos”, as well as Lieutenant John Bullis, commander of the Seminole Indian Scouts, fighting in the Pecos River skirmishes in 1870. 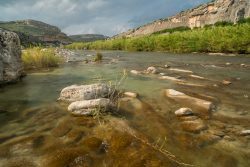 The Pecos Canyon Ranch’s 8,459+/- acres are dominated by the river and the canyonlands that drain into it. 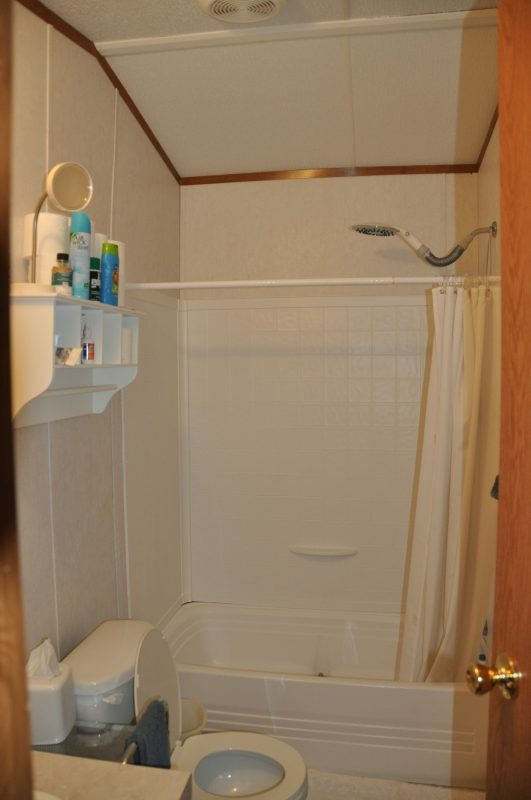 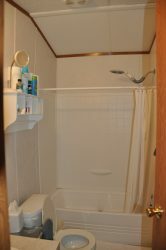 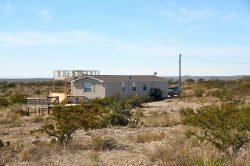 It is really two ranches, split by the county road, with excellent new fences and entrance gates for privacy and security. The western 1/3 has the old headquarters ruins with two wells and lots of Juniper cover with rolling hills and dense vegetation along Harkell Canyon, perfect for mule deer and Blue Quail hunting. 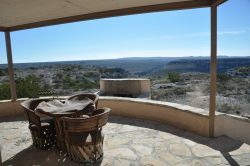 The eastern 2/3rds is dominated by huge slick-rock canyons, high Ceniza mesas, and 1.5 miles of the Lower Pecos River. 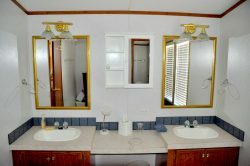 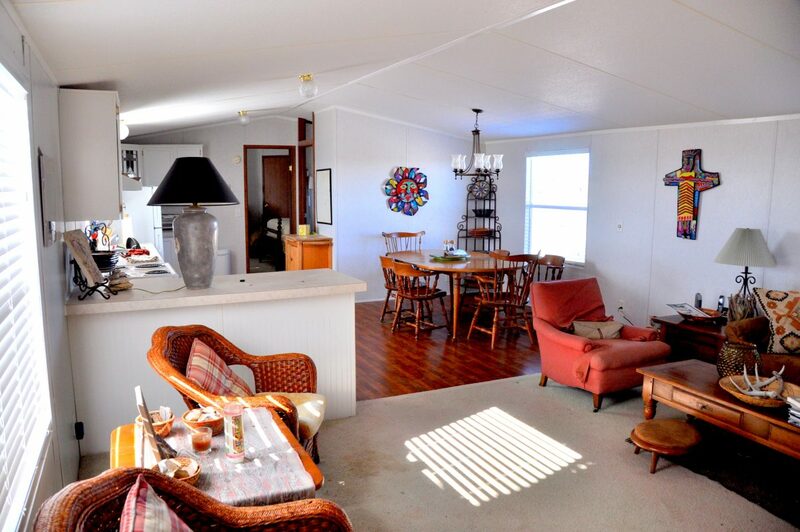 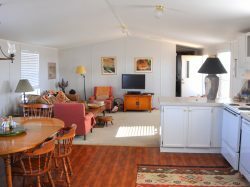 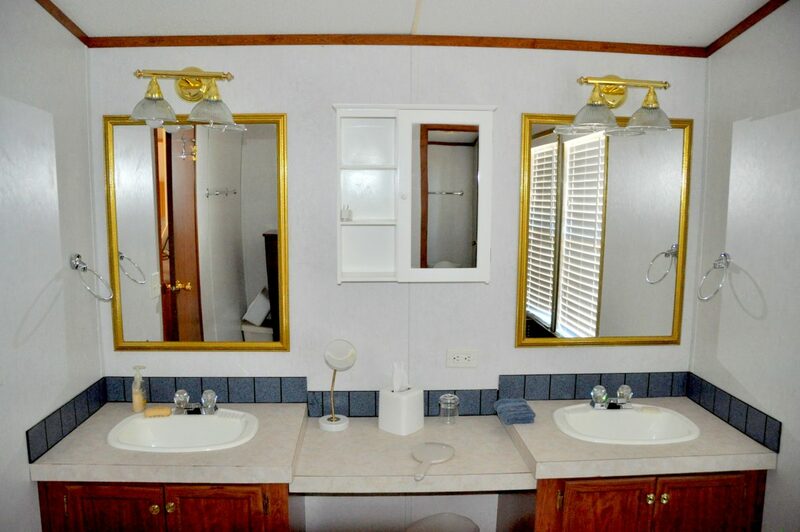 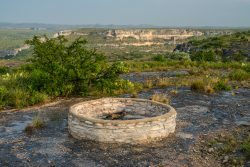 There are two wells on this side with several water troughs, one serving the main dwelling, which is a modern manufactured home with custom BBQ deck, elevated steel viewing platform, and a fire ring on the canyon edge, all looking at the limestone bluffs and river gorge views. 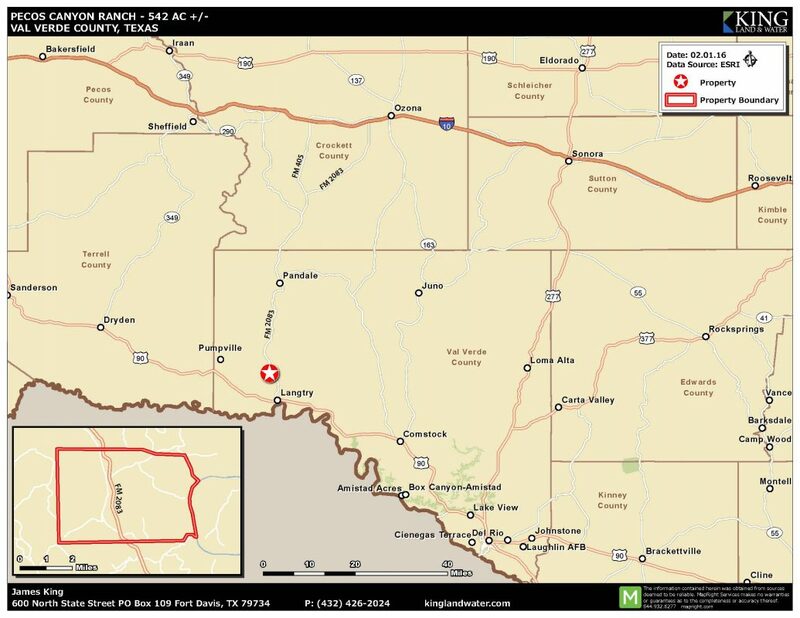 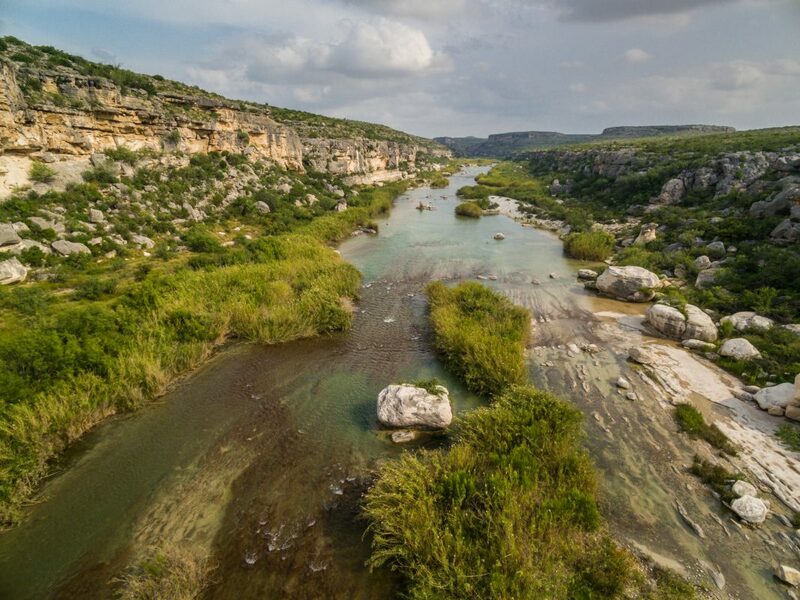 The ranch is situated at the convergence of three biologically distinct eco-regions in Texas; the Texas Hill Country to the east, the Chihuahuan Desert to the west, and the subtropical Tamaulipan Brushland to the south, creating one of the most unique wildlife habitats in the state. 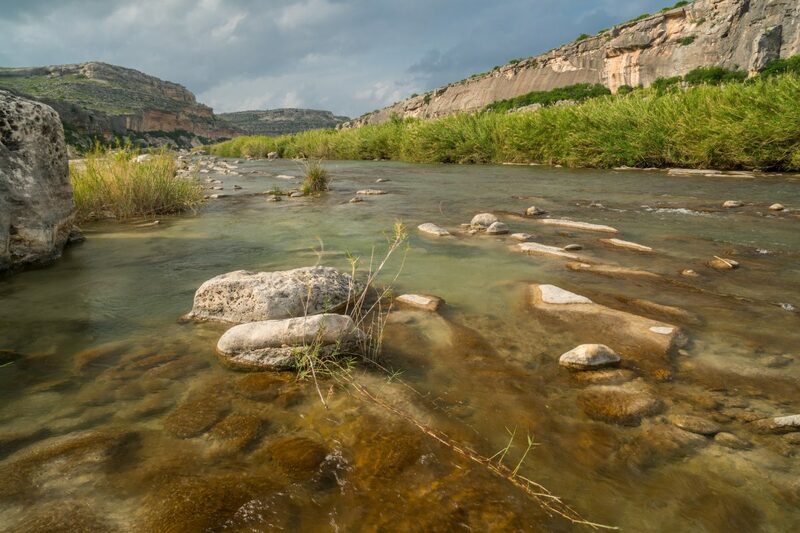 This working ranch enjoys more than 1.5 miles of crystal clear spring-fed Pecos River frontage, which provides some of the best recreation water in the country. 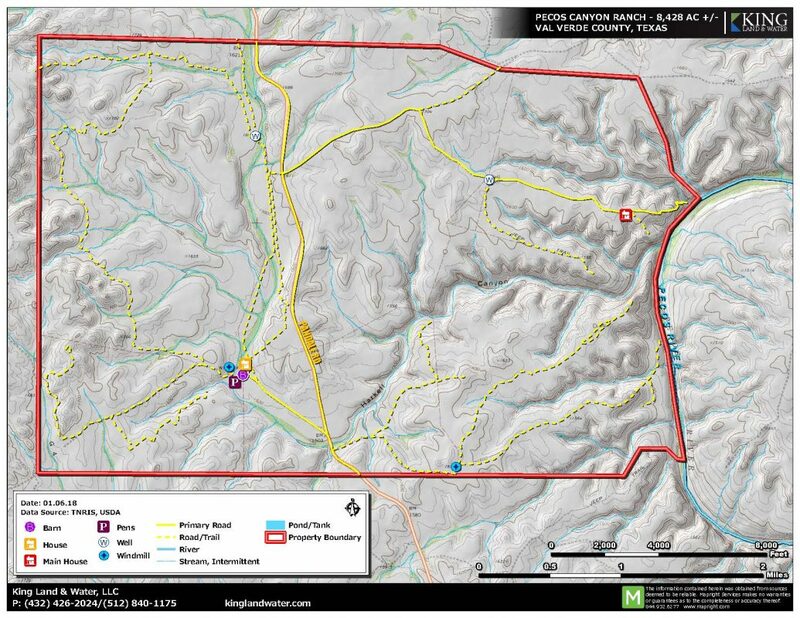 Elevations are between 1,300 and 1,800 feet with numerous steep carved limestone canyons some with 200 foot sheer faces. 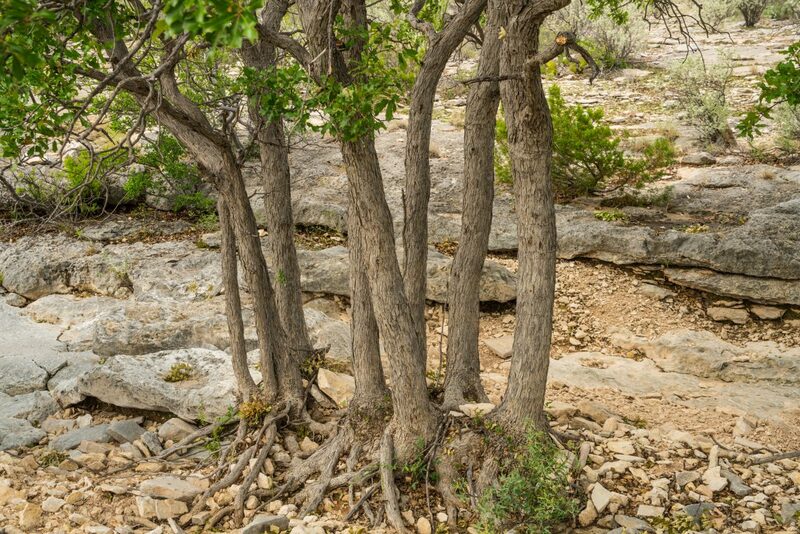 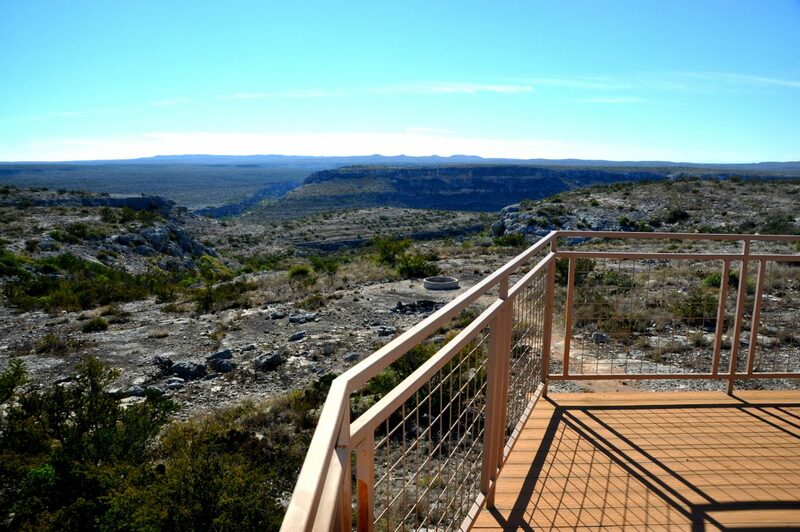 Tamaulipan brushland, hill country and Chihuahuan Desert habitats are all part of the Pecos Canyon Ranch. From Ocotillo and Sotol, to oak and Juniper woodlands, to Persimmon and Ceniza, the ranch represents a crossroads of diverse habitats. 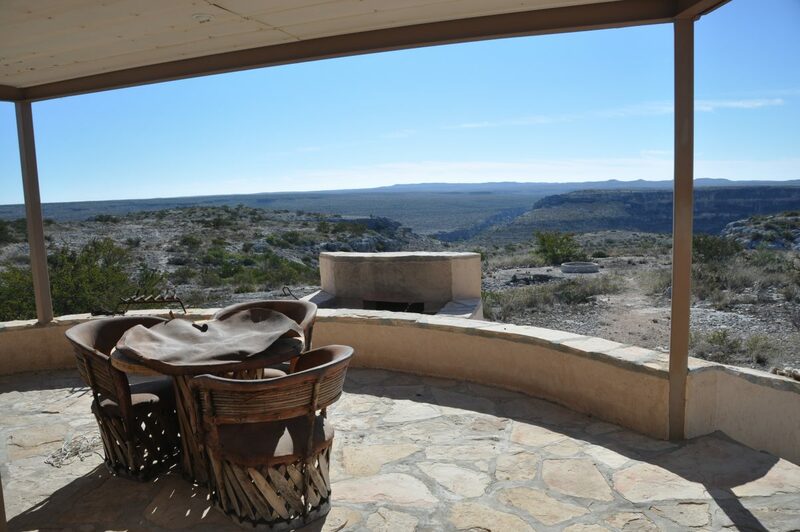 The property’s browse and grasslands are in excellent condition as the ranch has evolved from a well-managed historic sheep ranch into today’s recreation uses: hunting, fishing, canoeing and enjoyment of the scenic beauty. 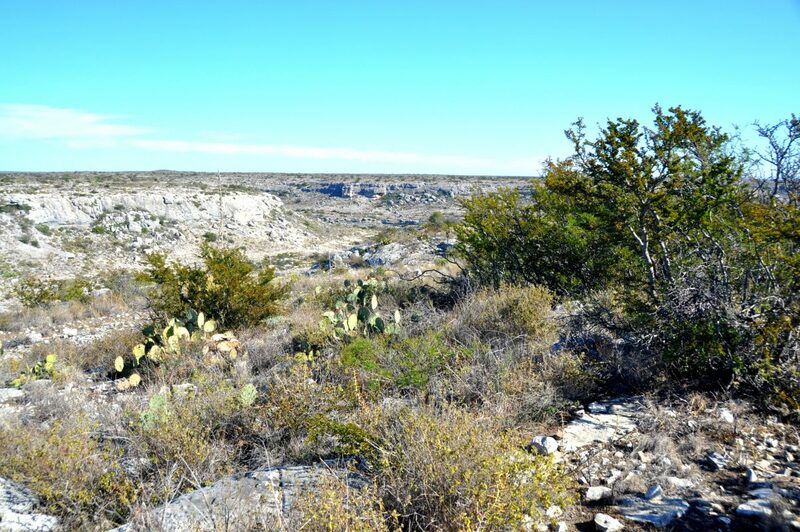 Native grasses, forbs, browse, brush, cacti and trees not only provide excellent habitat for game species such as mule deer, quail, and dove, but also for non-game species such as Texas horned lizard, neotropical songbirds, Texas tortoise, Rio Grande beaver and native fish species. 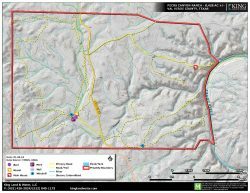 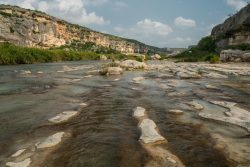 The combination of river, canyons, topography, browse, and habitat creates a wildlife-rich environment for both the hunter and wildlife watcher. 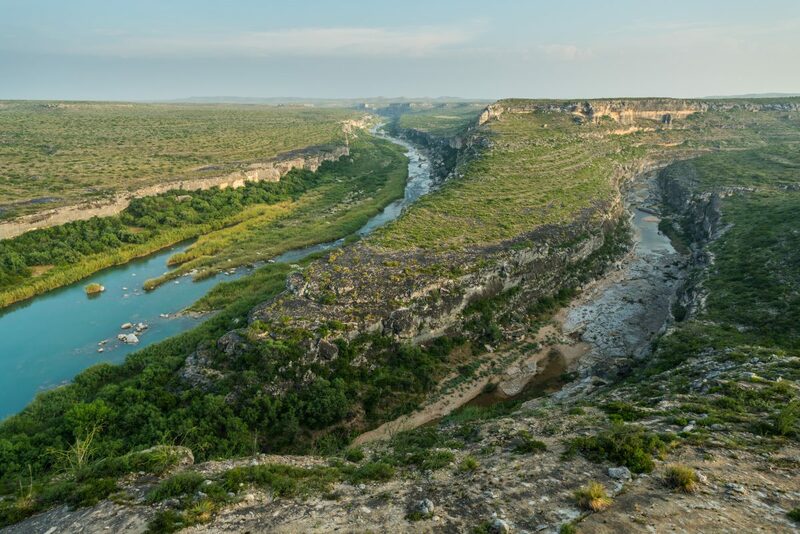 From the abundant whitetail deer, Rio Grande turkey, dove, quail, and feral goats to neotropical songbirds, osprey, beaver, butterflies, fox, rabbits, and ringtail cat, the upland and riparian diversity of wildlife is unequaled. 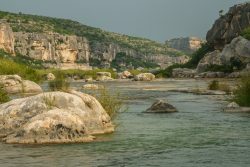 The river itself is an important body of water for the region with its native fish fauna, as well as game fish like small mouth bass, black bass, and catfish. From fly fishing in the shoals and riffles, to bottom fishing the clear deep holes, this ranch is an angler’s dream. 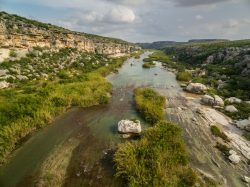 The Lower Pecos River, much like the nearby Devils River, is supported by area springs as well as outflow from the Edwards-Trinity Aquifer and is located in one of the most intact river environments in Texas offering unique streamside habitat such as willow, live oak, hackberry, mesquite, river cane, and many riparian plants, including a wide diversity of flowers and blooming cacti. 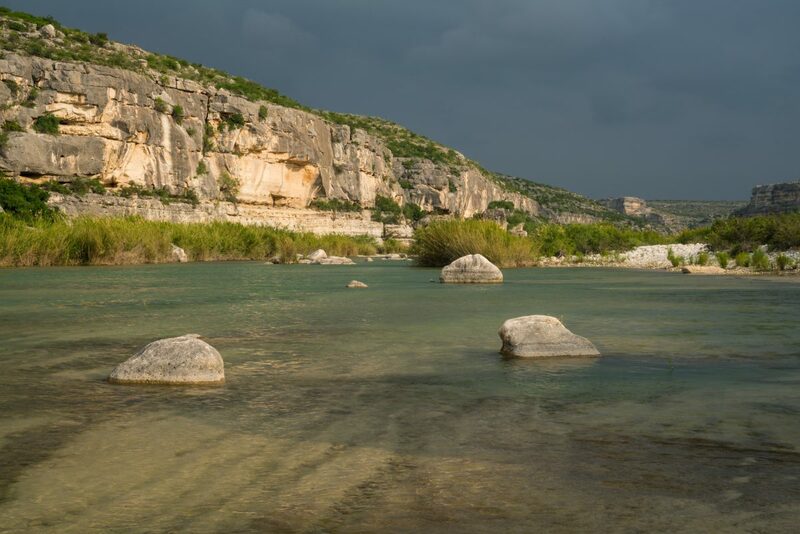 The river is accessed by roads at northern and southern points where you can get very close to the river’s banks and, in-between, a natural walkway of bedded limestone, creating shallows, fluted channels, pools, lakes, riffles, and falls. 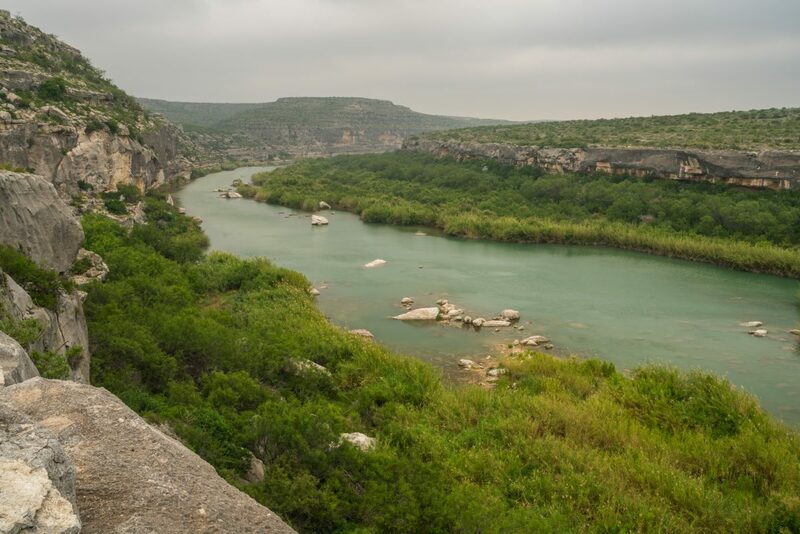 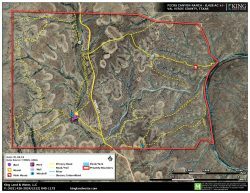 Much of the Lower Pecos is hidden behind dense stands of river cane, but not this property. 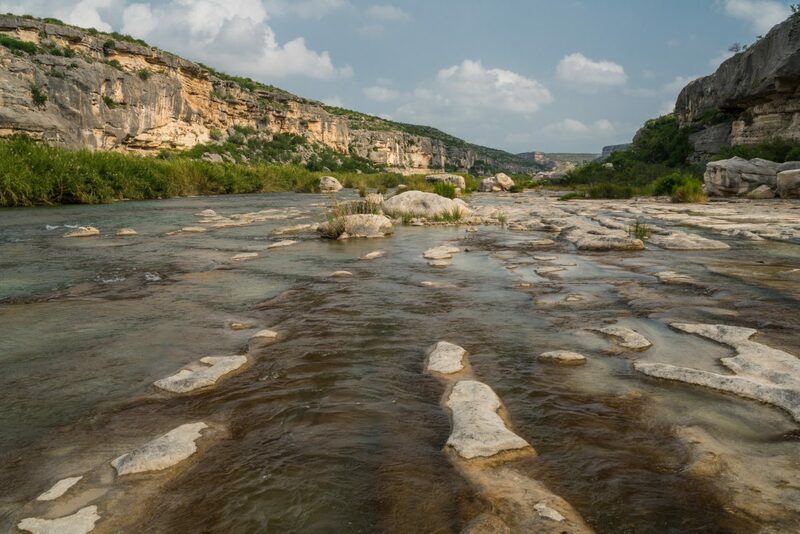 You can walk almost the entire river frontage with hundreds of swimming holes and areas perfect for canoeing, fishing, or just lying on the smooth rocks next to its shallows. 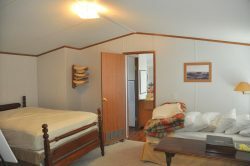 It is recreation at its best. The Lower Pecos River area is all private land with limited access for launching canoes, creating a wilderness quality usually found only in our country’s largest National Parks. 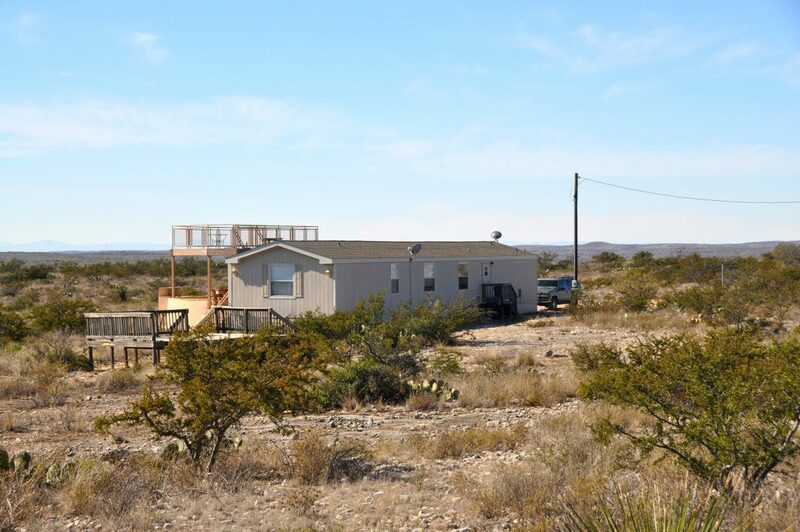 There are four wells on the ranch, all working, supplying concrete storage tanks, as well as various water troughs for wildlife and livestock.